The Scio Township board meets today to consider a moratorium on oil and gas exploration and drilling activities. That appears to be at least one day too late, as drilling has already begun at Miller and West Delhi Roads. West Bay Vice President Patrick Gibson believes this type of moratorium would be largely symbolic since they already have the required permits from the state. He doesn't think a township moratorium could even prevent additional wells if the initial effort is successful. "I don't believe so, but that's something we'd have to discuss you know, get some legal opinon on and potentially even talk with the State Department of Environmental Quality about it as they are the agency that has jurisdiction over our activity," Gibson says. Scio Township Supervisor Spaulding Clark says he doesn't believe the fact drilling has begun will impact a vote on the proposed moratorium. Citizens for Oil Free Backyards earlier tried to get a court order to stop the drilling and called for the temporary halt. The environmental risks of oil and gas developments and local solutions will be discussed Tuesday night at a meeting at the Scio Township Hall. 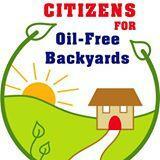 Citizens for Oil-Free Backyards are hosting the meeting which will include consultant and former Department of Environmental Quality official Chris Grobbel. 89.1 WEMU's Andrew Cluley reports on Citizens for Oil-Free Backyards hosting a meeting Tuesday about the environmental risks of oil drilling. Several hundred people learned more about oil exploration and mineral rights leases at Scio Township Thursday night. Township officials held an informational meeting at the Washtenaw Intermediate School District facility on Wagner with a variety of experts because West Bay Exploration has leases to explore about one-thousand acres in the township. WEMU's Andrew Cluley reports on Thursday's meeting on oil and gas exploration in Scio Township.